Capturing every nuance is what makes the difference between a picture and a timeless image -- a photographic work of art. Robert Jacobs has built his reputation on an eye for the unexpected and an attention to detail that reveals itself in his still life and portraiture. Over the course of his 20 + year career, Robert’s work has taken him all across America and the world. You may have seen his photographs in magazines like Food & Wine and Wine Enthusiast, or for clients like Kohls and Coach. He’s worked with countless chefs, including Emeril Lagasse, Rachel Ray, Jacques Torres, Paula Deen, and Sandra Lee. Robert has worked on books for American Chopper, Trading Spaces and The Food Network. Robert’s images were most recently featured in The New York Times’ Mark Bittman’s “How to Cook Everything” app. He is also a regular contributor to Better Homes & Gardens’ publications. Robert now works from West Coast to East Coast, splitting his time between the scenic Pacific Northwest and the historic Hudson Valley in New York. 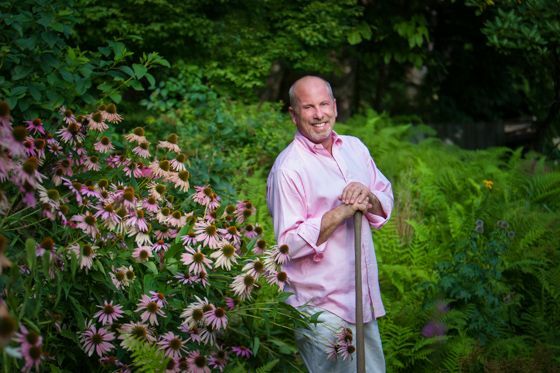 He is a master gardener as well as a gourmet cook, and his work reflects his passion for food, gardening and people. Robert grows many of the flowers and vegetables that he photographs.